Action Figure Insider » Exclusive @Marvel @Minimates Animated Line to Launch at @Walgreens Stores this Fall From @CollectDST! 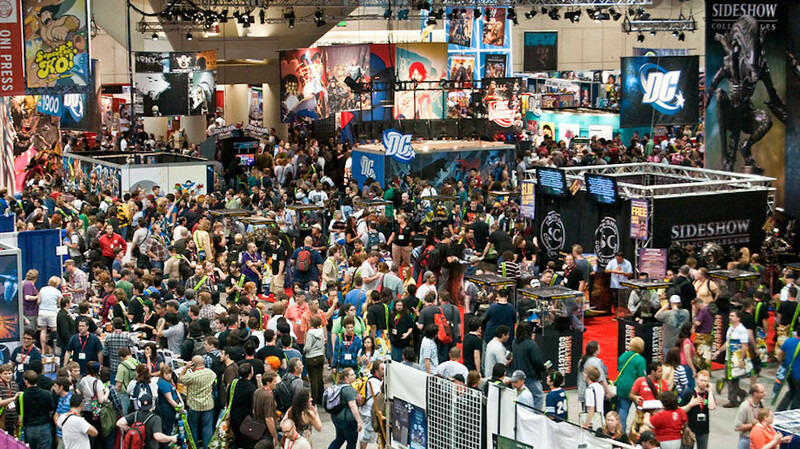 In the long history of the Marvel Minimates line, there have been waves dedicated to both Marvel comics and Marvel movies, but never the world of Marvel animation. 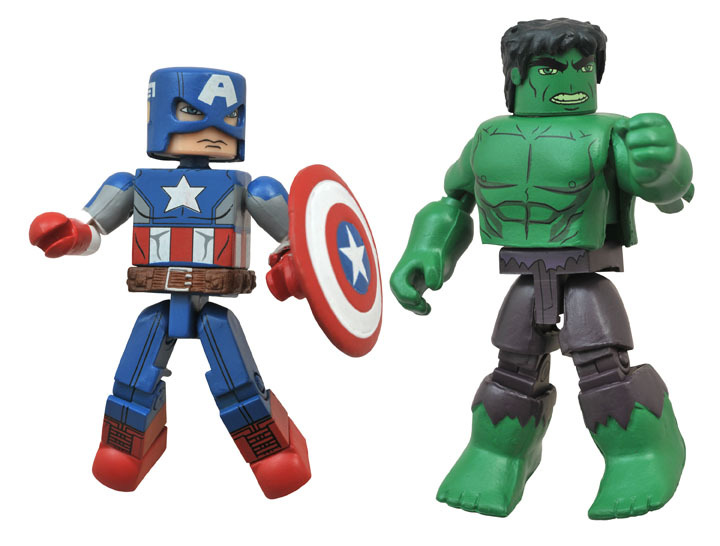 Now, Diamond Select Toys is launching an all-new series of Marvel Minimates, exclusively at Walgreen’s, and it’s all about the Marvel Animated Universe! Starting September 4, Marvel Minimates Animated Series 1 will be available at Walgreen’s stores nationwide, and will feature Diamond Select’s first cartoon-based Marvel Minimates. The first Minimates ever to be offered at the Walgreen’s chain of stores, this new line will include characters from Avengers Assemble, Ultimate Spider-Man and Guardians of the Galaxy! 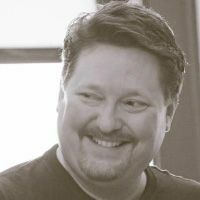 From Avengers Assemble, that show’s two-pack will pair Hulk and Captain America, with alternate faces for each, plus a shield and an unmasked hairpiece for Steve Rogers. 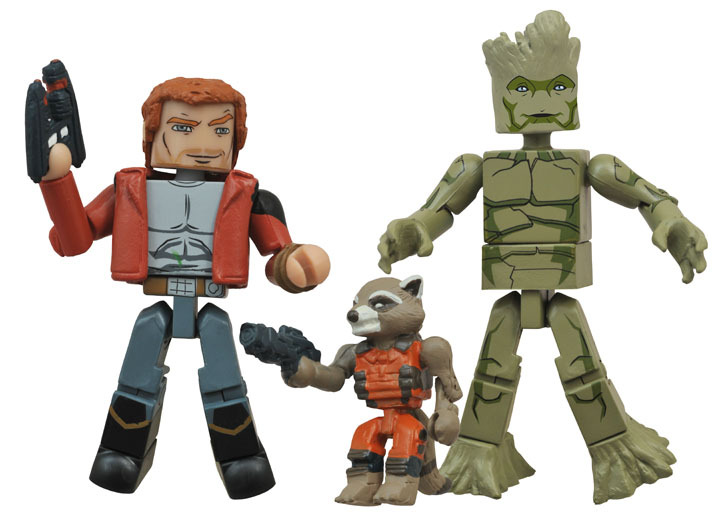 From Guardians of the Galaxy, a two-pack of Star-Lord and Groot will come with a 1-inch micro-figure of Rocket Raccoon, as well as a blaster and a mask for Star-Lord. 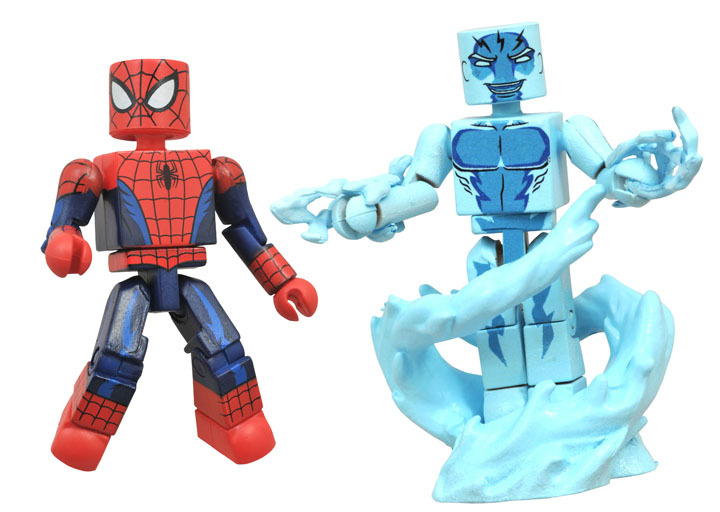 From Ultimate Spider-Man; a two-pack matching up Spider-Man with Electro will come with an alternate Spidey head, a webline, lightning blasts and an energy base. Plus, Electro glows in the dark! 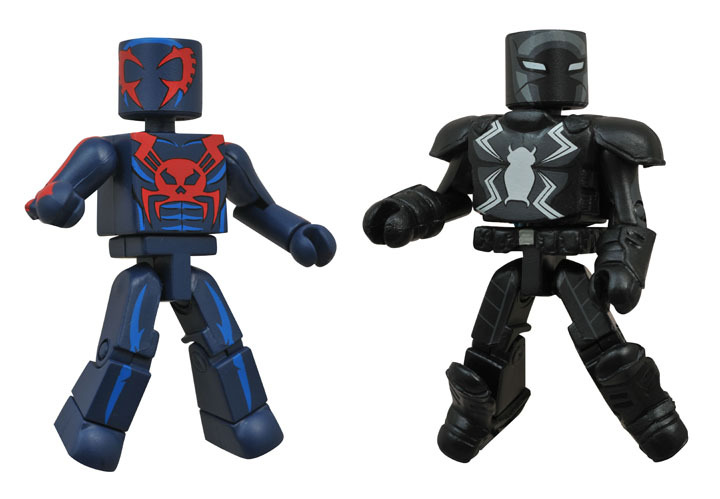 Also from Ultimate Spider-Man, a second two-pack will include Spider-Man 2099 and Agent Venom, with a webline.